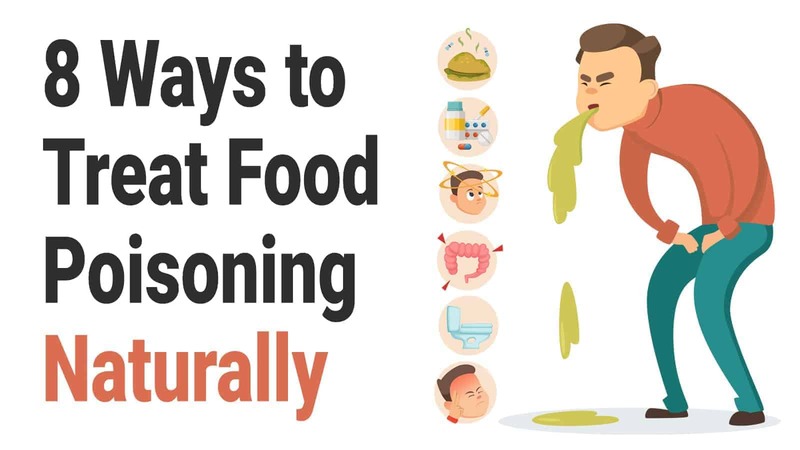 Food poisoning has to be one of the most unpleasant experiences anyone can endure, making you feel like you never want to eat another morsel of food again. Some symptoms of food poisoning include diarrhea, nausea, and vomiting. Needless to say, these symptoms will keep you in the bathroom for an exorbitant amount of time. And when you’re not in the bathroom, you’ll probably find yourself in bed, curled up in pain. As such, it’s not uncommon to also feel fatigued, have a loss of appetite, and experience headaches. So what is food poisoning, and how can you avoid it? These are the question that this article will endeavor to answer. We will detail several home remedies that can help alleviate pain and resolve symptoms. Also, we will address when it is appropriate to seek medical attention. Parasites – This food-related illness is rare but can be very serious. Commonly referred to as toxoplasma, this parasite is typically found in cat litter and can be fatal if consumed. Those especially at risk include pregnant women and those with weak or compromised immune systems. Bacteria – This type of food poisoning is the most common. Typically, it results from the salmonella bacteria attaching itself to foods like mayonnaise, eggs, and chicken. Bacteria can also stem from E. coli, commonly found in salads. Clostridium botulinum, another relatively common form of food poisoning, usually occurs after eating contaminated canned foods. Viruses – The Norovirus is one of the most common, not to mention lethal, forms of food poisoning. In fact, it accounts for more than 19 million cases for food poisoning annually and is often the result of eating contaminated lettuce or certain fresh fruits. When you’re experiencing a food-related illness, your first inclination will probably be to seek prompt medical treatment, but that is not always necessary. Despite the many overwhelming symptoms, most food-related illnesses can find their remedy at home. In fact, you probably already have the necessary ingredients at your disposal. Add 1 to 2 tablespoons of unfiltered apple cider vinegar to a glass of warm water. Thoroughly mix water and apple cider vinegar together. Drink the mixture 2 to 3 times a day or until your symptoms have subsided. Add 1 drop of high-quality, food-grade oregano oil to a glass of water. Thoroughly mix water and oregano oil. Drink the mixture 1 to 2 times per day or until symptoms have subsided. Add 1 drop of high-quality thyme oil to a glass of water. Thoroughly mix water and thyme oil together. Peel 2 to 3 garlic cloves and consume them. To make the experience more palatable, you can add honey and consume both ingredients together. Continue consuming garlic cloves until your symptoms have subsided. Add 1 to 2 slices of ginger root along with a cup of water to a saucepan. Bring the combination to a boil and allow to simmer for 5 minutes before straining. Allow the liquid concoction to cool before adding honey. Consume the mixture for a minimum of three days or until your food-borne illness has subsided. Add 8 to 10 drops of grapefruit seed extract to 1 glass of water. Consume the mixture for 3 to 5 days or until symptoms have subsided. 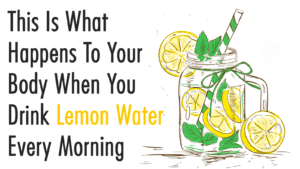 Combine the juice of half a lemon with a glass of water. Add 1 teaspoon of honey to the mixture. Consume the combination 2 to 3 times a day until your symptoms have subsided. Extract the juice from a handful of basil leaves. Add a teaspoon of honey to the extracted juice and consume it. Consume the mixture 3 to 4 times per day as needed. It worth noting that the list of home remedies detailed in this article is not one that is all-encompassing. 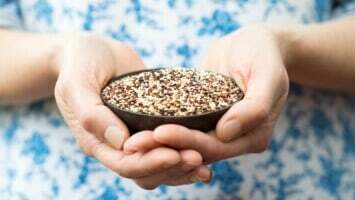 Many other treatments can also provide relief from food-related illness. However, this list includes the ones that have been found the most beneficial. Also, the information provided in this article should not supersede any information provided to you from a licensed physician. To that point, if your food-related illness persists after trying any of the treatments recommended in this article, seek prompt medical treatment. In summation, the best way to avoid food-borne illnesses is to eat foods that are properly cooked. Of course, the proper temperature can vary from food to food. For example, if you’re eating chicken, it should be cooked until it reaches an internal temperature of 165°F whereas eggs and ground beef, on the other hand, should be cooked until they reach 160°F. Nonetheless, it is a good practice to familiarize one’s self with optimal cooking temperatures for all foods before consuming them. Lastly, you should avoid leftover foods that have been in the fridge for more than 3 days as they can become contaminated if they sit for too long.